Reality check: You replace worn out shoes or faded clothes on a monthly basis. You religiously exfoliate your skin, so why not do the same for your pearly whites? That being said, ask yourself - when was the last time you changed your toothbrush? • Change your toothbrush every 3 months. Ever heard of the 3-month rule after a break-up? It's also the secret to buying just about anything you want, and that includes buying a toothbrush. Really, because life is short and so is the life of your toothbrush. So it's best to always have a sleek new toothbrush waiting in the bathroom cabinet every 3 months. You can reduce the chances of getting sick if you change your toothbrush regularly. Also, consider getting a new toothbrush sooner if you have been sick. Happiness is... a new tooth brush! Don't be too attached with your favorite toothbrush. You may not be ready to trade inyour old one for good because it has sentimental value or it was given by a special someone. 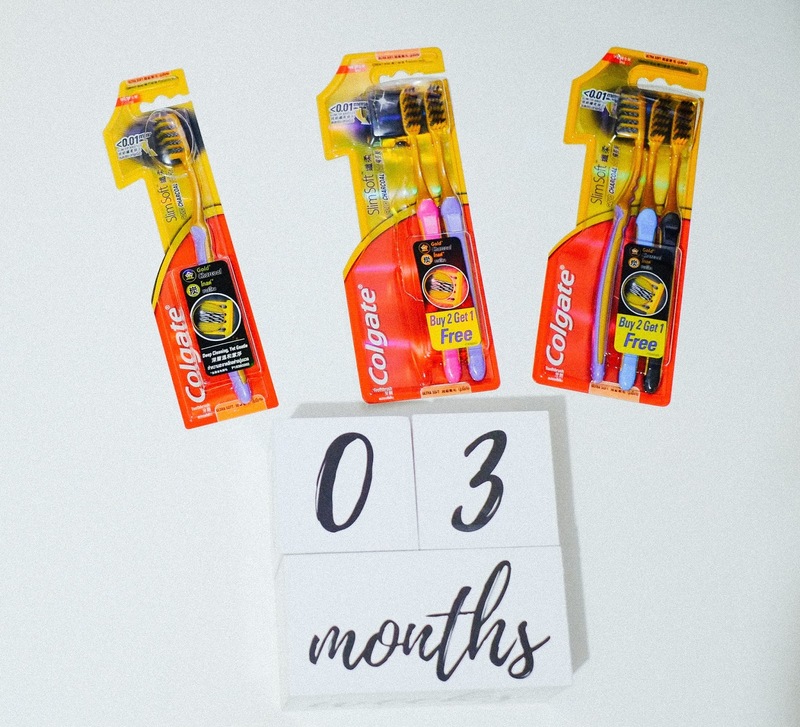 Perhaps you’re entering a phase of what I call sepanx (separation anxiety) moments, and you're still flip-flopping between wanting a new toothbrush and wanting more of your "favorite" one. Well, think again. By keeping your old one, you are straight-up screwed on getting more bacteria in the process. So just simply embrace it until, perhaps as soon as next 3 or 4 months, you're ready for the new one. When in doubt, look at the bristles. If they are frayed, they won't clean teeth as thoroughly. If you brush more rigorously then you may need your toothbrush replaced more often. 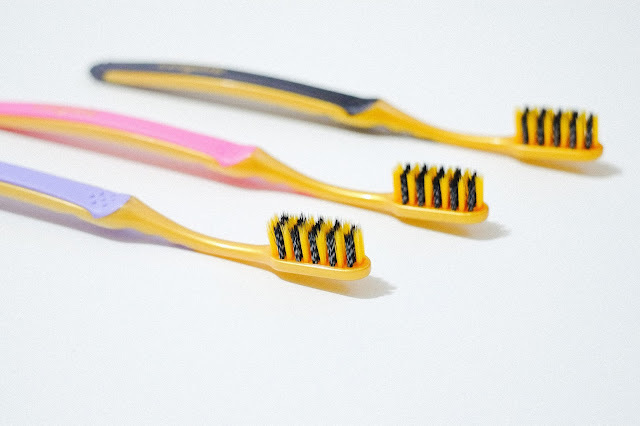 If you're traveling, it's better and more practical to use disposable toothbrushes during the trip. • Regularly clean your brush after use. That's right. Dentists recommend rinsing the toothbrush under tap water after you brush to wash away lingering toothpaste and saliva. Then, store it in a vertical position or have it kept 6 ft. away from the toilet to avoid airborne particles resulting from the flush. • Aside from getting into the habit of buying new toothbrushes for everyone in the family every 3 months, protect yourself and your loved ones by using toothbrushes that eliminate bacteria and keep your health and oral health in shape. Speaking of bacteria, the moisture on the brush after brushing and storing a toothbrush in a closed container can cause bacteria to build up. Plus, there are airborne bacteria in the bathroom where toothbrushes are normally kept. A regular toothbrush won't protect you from bacteria. Which is why I'm so excited about the new toothbrush that threatens the toothbrush aisle, and it's called #ColgateSlimSoftGoldCharcoal. Yes, you heard right— it's the champion in the Olympics of toothbrushes, which offers a deep, yet gentle clean, perfect for you and your family. Go for gold and forget your old toothbrush because this time, it's sure to be the best one in the market. 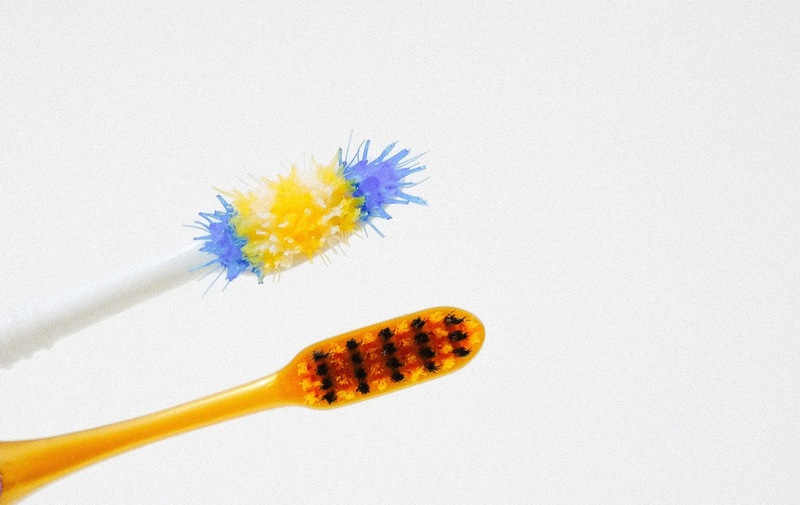 It has gold bristles that protect your brush from bacteria. #ColgateSlimSoftGoldCharcoal provides bristle protection against bacteria build-up. 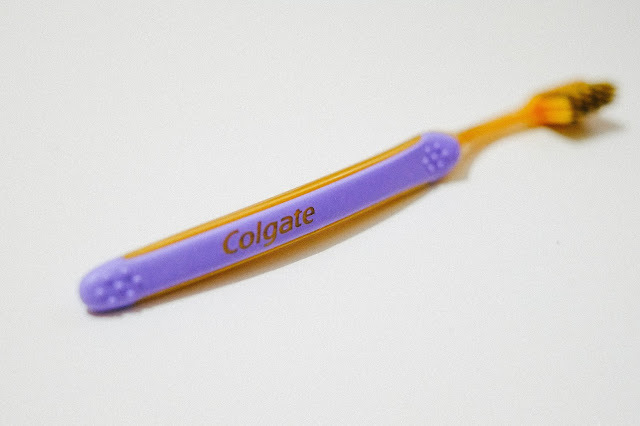 Also, the Charcoal Infused bristles remove teeth surface stains. It offers a Deep and Gentle Clean with its spiral tapered bristles. 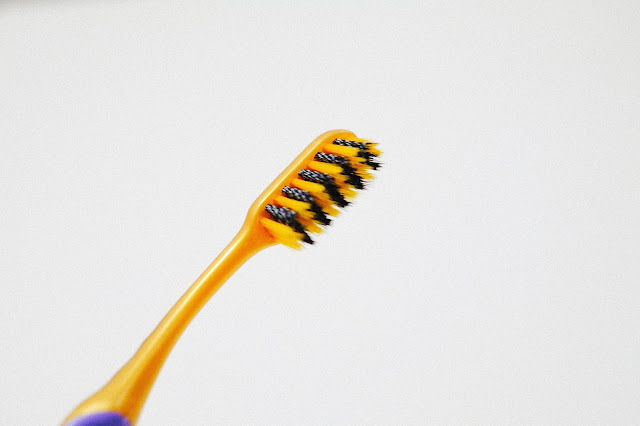 I have personally experienced easier brushing with a spiral tapered bristles, helping me reach in and in between teeth and gums more than the ordinary round bristles. Gold bristles inhibit growth of bacteria on the brush’s bristles. It protects the bristles of the brush from bacteria. However, it doesn’t kill bacteria inside the mouth. Still, it's the best toothbrush out there. Since I started using it, my teeth and gums feel fresher than ever. So go to your nearest supermarket or drugstore and get yourself a new #ColgateSlimSoftGoldCharcoal toothbrush. You can also purchase from Lazada. For more details, visit the Colgate website. How about you? How often do you change your toothbrush? Hope these tips help. I'll be back soon with some new and informative oral health tips that you won't want to miss, so be on the lookout for those. It was a fun experience for me to try the best electric toothbrush for the first time, buy now I have become habitual of it as it helps to clean my teeth and gums with utmost perfection.